Product prices and availability are accurate as of 2019-04-21 10:07:41 UTC and are subject to change. Any price and availability information displayed on http://www.amazon.com/ at the time of purchase will apply to the purchase of this product. 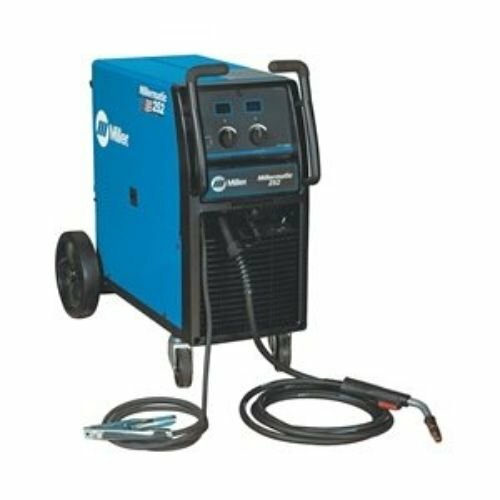 MIG welder, collection: millermatic 252 with spindle, welding processes: MIG/flux core, input voltage: 230/460/575VAC, welded product: mild steel, light weight aluminum, product density mild steel: 22 ga. to 1/2", portability: rolled installed, stage: 1, product density light weight aluminum: 14 ga. to 3/8".